Hamas left Israel with no other options for self-defense, Prime Minister notes, adding that the operation may expand even further. Prime Minister Benjamin Netanyahu spoke at length about the ground offensive in Gaza on Friday, as Operation Protective Edge against Hamas enters its eleventh day. "This is the tenth day that Israel has had to endure terrorism on its cities and its citizens," he said. "The IDF is operating against Hamas in Gaza by sea, by air, and now by land." "Our forces began a ground operation to harm terror tunnels that extend from Gaza to penetrate Israeli territory," he continued. "Hamas terrorists penetrated a terror tunnel like this yesterday morning in order to carry out a mass attack against Israeli civilians. The IDF worked hard to foil this terrorist operation successfully." Netanyahu reiterated that instances like these render an air operation ineffective in fully fighting Hamas. "Because they cannot destroy the tunnels by air, our soldiers will work from the ground," he said. "This does not guarantee a 100% success rate, but we are doing everything to eradicate the most tunnels possible." Netanyahu also expressed sorrow and condolences over the first fatality in the ground offensive, 20 year-old IDF soldier Sgt. Eitan Barak. 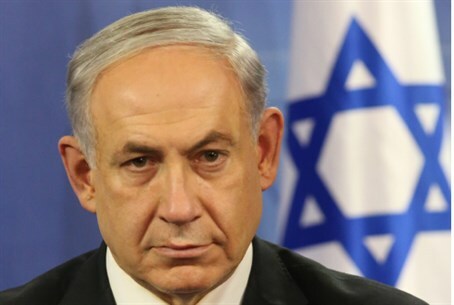 Netanyahu also emphasized that Operation Protective Edge may yet extend even further into Gaza, something the Security Cabinet is prepared to execute for the sake of eradicating Hamas - whom has left Israel with few options to defend itself. "The decision yesterday followed Israel's agreement to Egypt's proposal to a ceasefire, as well as the UN initiative for a humanitarian truce," he noted. "In both cases Hamas continued to fire rockets." "We chose a ground offensive after we have exhausted other options, with the understanding that without the operation, the price to pay would be much higher." So far, 1,497 rockets were fired on Israeli civilians from Gaza. Of those, 1,093 hit Israel; 301 were intercepted by the Iron Dome missile defense system. Roughly 100 have been estimated to have struck Gaza itself, killing an untold number of Palestinian Arab civilians. The IDF has eliminated 2,037 terror targets in Gaza. The Prime Minister also addressed Israel's talks with the international community, after several countries called out Israel for 'proportionality' in the Gaza offensive. Even before launching Operation Protective Edge last week, Netanyahu had spoken with world leaders about the escalation from Gaza, he said. "Since then, we have worked tirelessly on the political and media fronts, so that the international community understands that we operate systematically and intensely against a murderous terrorist organization and its affiliates," he said. "The IDF is a moral army that does not wish to harm even one innocent person; we only operate against terror targets and we regret any unintentional harm to civilians." Netanyahu noted, once again, what Hamas itself stated on multiple occasions: that it encourages civilians to become human shields. "Anyone responsible for harming innocent bystanders are terrorist organizations that attack our citizens and use civilians as their shields," he fired. "I know that global opinion always has a distorted picture of the campaign; it is inevitable - but unlike other times, there are many in the international community who understand that the persons responsible for these deaths is Hamas and only Hamas." Hamas has openly boasted about the "success" of its strategy of using civilians as human shields during Operation Protective Edge, which is now ending its tenth day, and the IDF has published extensive evidence of the practice. Hamas has in the past urged Gazans to ignore warnings from the IDF about upcoming strikes, in remarks caught both on Hamas-sponsored television and on the radar of international media outlets. Hamas's "Public Security Ministry" in Gaza even made official statements Thursday encouraging more civilians to refuse to heed IDF warnings ahead of a possible ground offensive. In addition, several of the rockets fired from Gaza have never made it on to Israeli soil, and may be partially responsible for Palestinian Arab deaths from within Gaza itself. By contrast, the IDF has dropped leaflets, sent phone messages, and issued general warnings to all civilians within range of upcoming airstrikes to prevent further harm. While many in the international media have embraced the Gazan civilian casualty count as proof of Israeli "war crimes," CAMERA, the Committee for Accuracy in Middle East Reporting in America, claimed Monday that many of those reported dead are likely Hamas terrorists. In a study analyzing Al-Jazeera's list of Gazan casualties, it said, a close look at the data "shows that, as in past hostilities, the fatalities are disproportionately [compared to the overall population] among young males, which corresponds with the characteristics of combatants. Males over 40 years old are also disproportionately represented. Some of the fatalities in those over 40 years of age likely represent senior members of terrorist organizations."